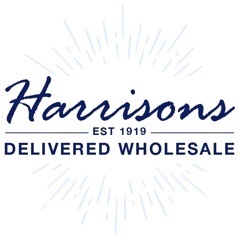 At Harrisons, we have 100 years experience as delivered wholesalers and understand that a reliable and timely delivery is vital to our customers - we use TNT as our trusted courier. We offer FREE Next Working Day Delivery on all Mainland UK orders over £150 (exc. VAT). Any orders below £150 (exc. VAT) will be subject to a £6.60 (exc. VAT) service & handling/delivery charge. For deliveries to Northern Ireland and UK Offshore Islands (excluding the Channel Islands) shipping is free for orders over £300 (exc. VAT), for deliveries to the Channel Islands is free for orders over £500 (exc. VAT) & will be delivered by Trans Bridge Freight Services Group (TFS), a leading UK specialist in global freight logistics. Deliveries to Republic of Ireland please request a quotation. Your order will be despatched using TNT. Any orders received by 12:00pm we aim to deliver the next working day. If ordering later than 12:00pm, your order will be despatched as soon as possible, usually the next available working day. During extremely busy periods there may be instances where delivery may take up to 3 working days. Using our courier service Harrisons Direct are now able to deliver throughout Europe including France, Spain, Belgium, Netherlands and Poland. Costs vary depending on the destination and weight of your order, so to receive a shipping cost contact us directly. Once your order has left our warehouse, an email will be sent with your tracking number confirming this. Delivery will be made to your nominated delivery address between the hours of 8.30am and 6pm. To ensure safe receipt of your items, the driver will require a signature to acknowledge that goods have been delivered in good condition - therefore someone will need to be at the delivery address to sign for your parcel. Unfortunately we cannot accept any claims for damaged goods that have been signed for in 'good condition'. Please note... 98% of all orders are despatched using TNT however some lighter/small items may be sent 1st Class Recorded Delivery with Royal Mail. * There's a small number of postcodes, usually in remote rural areas (eg. Scottish Highlands & Northern Ireland) where we cannot guarantee delivery within our usual timescales. Need a timed or Saturday delivery? Contact us on 01254 306840 or email sales@harrisonsdirect.co.uk for pricing as this service is available however is subject to a surcharge.